Rev. Dr. Angela Yarber is author, artist, and Executive Director at the Holy Women Icons Project, a non-profit that seeks to empower marginalized women by telling the stories of revolutionary holy women through art, writing, and special events. With a Ph.D. in Art and Religion, she is also an ordained queer clergywoman. The author of seven booksaddressing the intersections among the arts, religion, and gender/sexuality, four of which were awarded the Top LGBTQ Christian Books of their respective publication years, she is currently querying literary agents for her eighth book. After fourteen years as a pastor and over a decade as a professor, Angela and her wife left their jobs, sold their home, and traveled full-time with their toddler; this wild adventure took them to Hawai’i Island where they partnered with the television show Tiny House Nation to build their off-grid home, which is the first step in creating the Holy Women Icon Project’s retreat center. 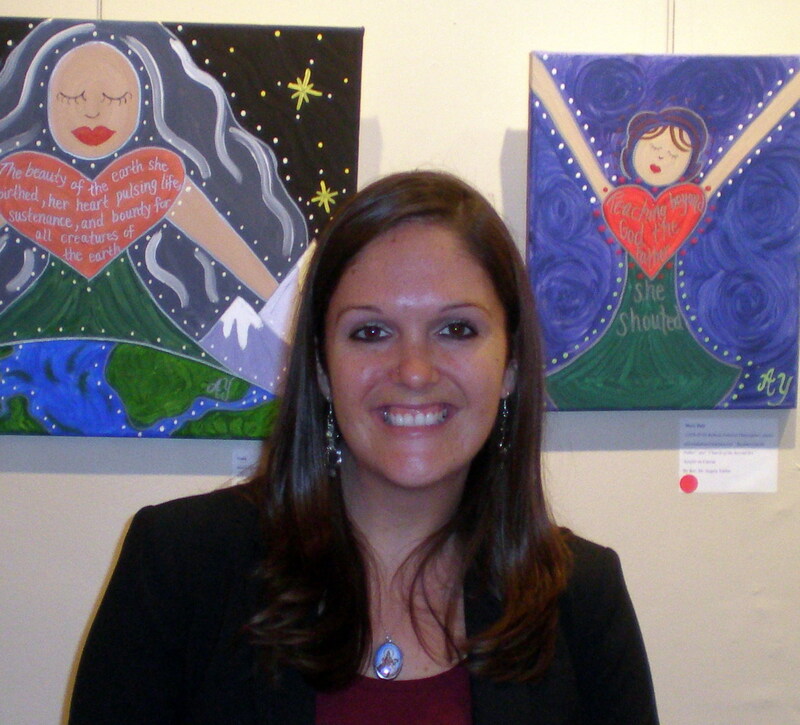 Her work has been featured on NPR’s Progressive Spirit and Maya Angelou’s memorial celebration. For more, visit www.holywomenicons.com or follow HWIP on Facebook, Twitter, or Instagram. Angela Yarber (Heart of Ministry | February 2019). Posted in 21stCenturySpirituality, Art and Creativity, Creative Insights.